App42 Leaderboard allows game developers to save score and manage their leaderboard using the scoreboard service. One can query for the average or the highest score for users in the game/level. One can also view average/highest scorer in a given game/level. It also records and provides rankings of users against a given group of users(For example Facebook friends) in a game/level. To get started with the leaderboard, you have to first create a game/level inside your AppHQ console. Here a Game can be logically considered as a different game level inside your app. One can have as many games/levels in a given App42 app. Here are the steps to create a Game/Level from the console. Once your game/level is created you are ready to use leaderboard services as explained below. Once your game/level is created inside the AppHQ, you can save user score on the App42 cloud using following snippet. It requires user name, game name and his score as input parameters. Once the user score is saved it will return you a unique score id to edit this record if required. Once the user score is saved, you can fetch global top ranks on the leaderboard by passing your game name and max result(Top 10/20 etc) option as shown below in snippet. This will include the all time highest score of individual users on the leaderboard. Once the user score is saved, you can fetch top ranking entries on the leaderboard in given group by passing your game name and user array list option as shown below in snippet. This will return a leaderboard of passed list of user set. If you are using Facebook in your app for user management and login, you can generate a leaderboard of the users Facebook friends using App42 API as shown below. Prerequisite for generating the Facebook leaderboard is that the username should be used as the Facebook user id while saving the score of user. See How to Save User Score. Also, a valid access token of app user should be passed in the below code to generate a Facebook friends leaderboard. If you want to edit the score of an individual user, you can use score id of the saved score to edit it as shown in below snippet. 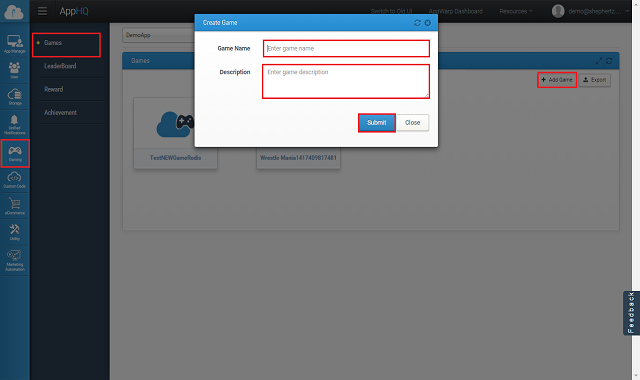 This requires new score and score id to be passed as input parameter. If you are using buddy management in your application, you can create a leaderboard among the buddy group of a user as shown below.